What happened next...: Goal Setting Success! Back at the beginning of November I set myself Four Simple Goals to achieve by the end of the year. It was just what I needed to see my year out with a little bit of focus. I think having 'to do' lists is just me. And I thrive on them, on working through them, and seeing each item get checked off! So I'm here to report absolute success. Much of it was achieved in the first week after I posted my list! That week we had a week with no TV shows, so instead of switching on Netflix of an evening we had early nights and reading for an hour in bed. I've had the same 900 page monster novel on my nightstand since April and I finally made progress (though I only actually finished it yesterday morning!!) And it's not that I didn't like the book - I love Ken Follett and I loved the second in his Century Trilogy very much - but oh my - it's a beast! I hope to continue with a little more reading this coming year. Meli (with the help of Santa) gifted us a Kindle this Christmas so if for no other reason than the novelty factor I hope to read more - I have the latest Lee Child book and What I Talk about when I talk about Running all downloaded and ready to go! Pinterest is still a great love time waster of mine! Although I don't spend quite as much time as I used to, in the couple of years I've been using it I've collected over 1600 pins - a third of those are recipes!! Whilst I've tried some of them and now use those regularly there are clearly hundreds more that haven't come to life in my kitchen. Again, in the first week after stating my simple goals I ear-marked three (this one, this one and this one) and made them happen. And 2 of them have become firm favourites and have already been made a couple of times since then! Check out my 'Favourite Pinned Recipes' board - these are those recipes I've found, and since made multiple times - I keep them in one place mostly for my sake so I can find them easily - but you should check them out too! 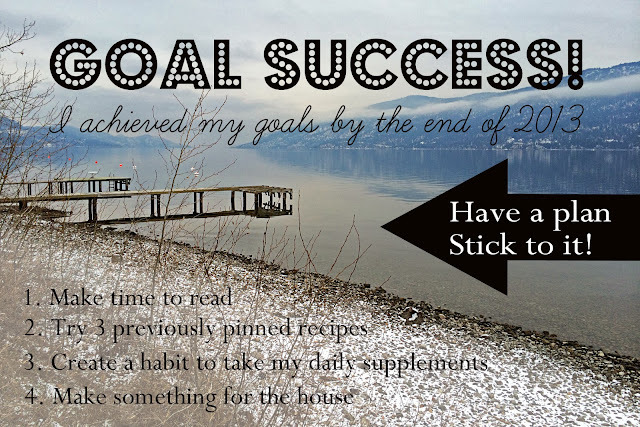 My third goal was to create a habit to take my supplements. And it's nearly there. As I write this I realise I haven't been perfect these last few days over Christmas - but I think that's because I'm not in a regular routine - so that's good, right? It means that the supplements are part of my regular routine!! I'd say it's more habit than not and I'm happy enough with that - progress not perfection! And there you have it. 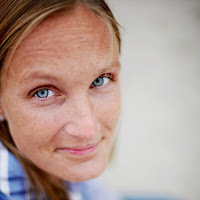 Four Simple Goals - even I managed to see them through! Do you enjoy setting goals? Do you do them at the beginning of the year? Every month or every season? I'm loving the idea of seasonal goals. Now here's to actually setting some to keep me motivated!